Dr. Rebecca Norton received her doctor of veterinary medicine from the College of Veterinary Medicine – University of Minnesota in 2010. After graduation, she completed a one-year rotating internship in small animal medicine, surgery, and emergency at Dogs and Cats Veterinary Referral in Bowie, Maryland. 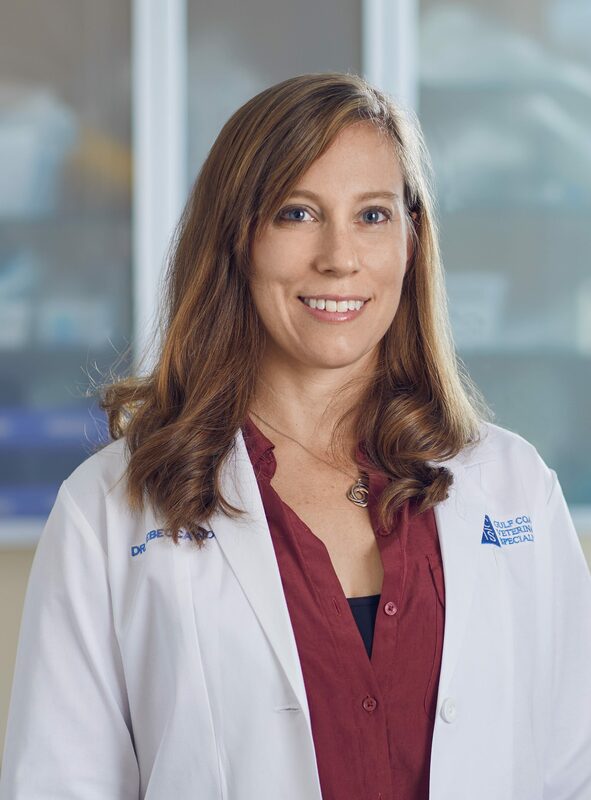 She entered her three-year residency program for small animal internal medicine at Gulf Coast Veterinary Internal Medicine in July 2011 and became board certified in 2015. Dr. Norton has a special interest in liver disease and interventional procedures, including diagnostic laparoscopy and minimally-invasive laser procedures. In her spare time, she enjoys spending time with her family, swimming competitively, and cooking. Dr. Norton is a gift. Over the last few years, she has saved Sadie multiple times. Treasure her, keep her as long as you can.